With our venison raw ham we are very severe in the choice of the raw materials and the time in which the animals are shot. Also here we use the noble parts of the leg which are pressed during the brine phase, because the deer meat with the fine fraying would not allow the complete salt or spice admission otherwise. The next short and very gentle smoking-process serves above all to state a balance between the natural wild aroma and our salt-herbal mixture with juniper berries and bay leaf in a unique mark of perfume. The preservation of the natural condition of the essence oils of the berries and herbs is to us a priority concern. We reach the desired cut firmness by the final storage in the natural stone cellar with controlled temperature, air humidity and aerial circulation. Cut the vension raw ham in fine slices, with thinly planed Parmesan stripes, some balm vinegar and olive oil and this ham will be an Antipasto which searches its equals. 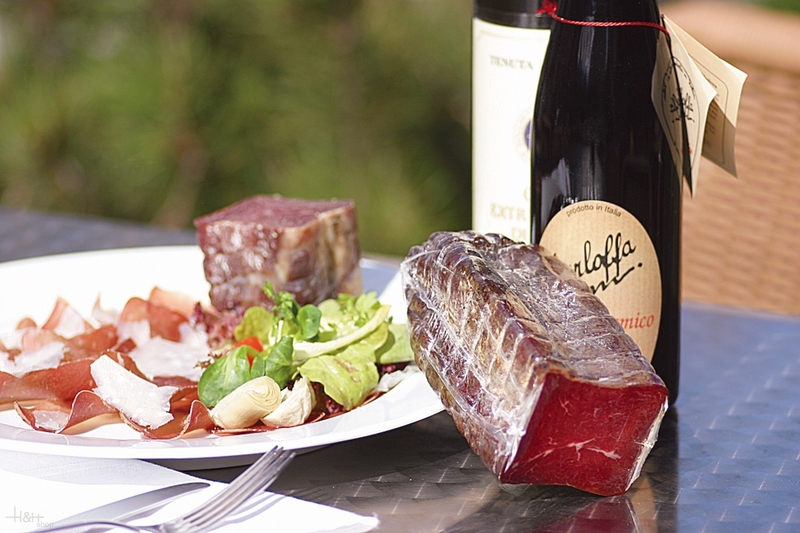 The Venison raw ham should not be missing on a good tyrolean "Brettljause". 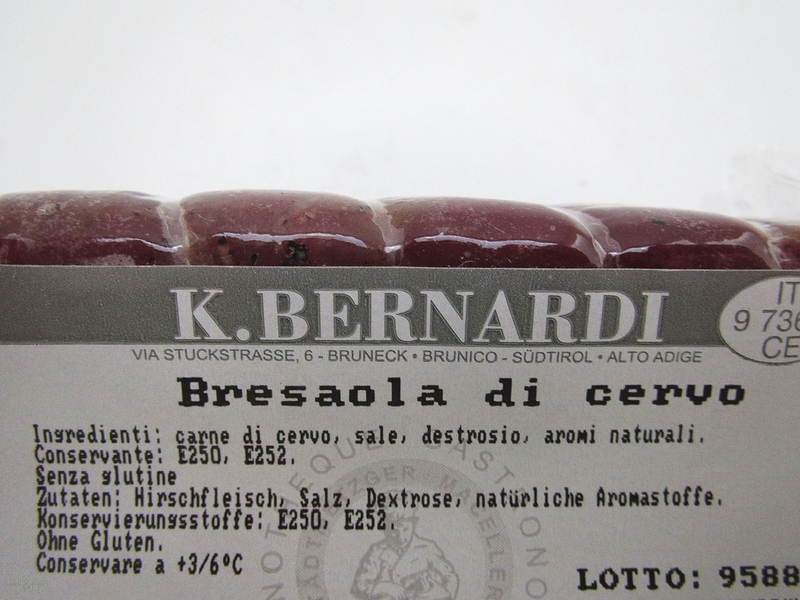 Buy now this product together with South Tyrolean cattle ham Bernardi K. approx. 600 gr. ready for shipment: in ca. 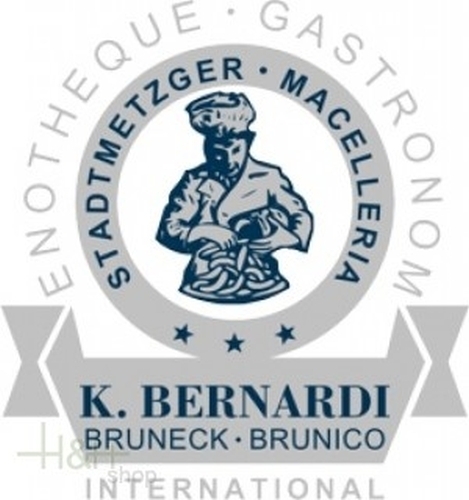 5 days South Tyrolean cattle ham Bernardi K. approx. 600 gr. This is a third time I am purchasing it. Delicious. venison in its purest form. I just enjoy. All good ** Thank you !